The unparalleled joy of medicine and its power to prevent harm and cure diseases has made me realize how much one can contribute towards society. Non Sibi, Sed Omnibus i.e. 'Not For Self; But For All' is the motto of my medical school and it is indeed the most important of all the things that I have learnt. The idea of a holistic approach to diseases comes to my mind when it comes to diseases like cancer. As a doctor one must delve into the reality of patients' lives beyond the hospital and work towards a complete state of well being. But we often see a rather narrow minded approach to diseases. Like in many developing countries, healthcare in India is mainly focused on curative health and less attention is given to other important aspects of health like preventive medicine and palliative care. My interests lie in the preventive, therapeutic as well as psychosocial aspects of diseases and public health problems. I am keen on providing care not only at the level of an individual patient but also at an aggregate level. 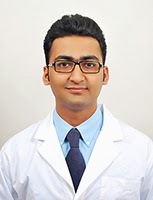 I graduated as a medical student and finished my MBBS and rotatory internship from Seth GS Medical College and KEM Hospital, Mumbai which is an urban tertiary referral academic public hospital and ranked among the top ten medical schools in India. After graduation, I worked as a resident physician at my alma mater. I got the opportunity to come to the US as a visiting student where I was able to understand the advanced healthcare provided to patients in developed country. On returning, I worked in primary care semi-urban and rural hospitals and this gave me a true understanding of the impact of sociodemographic, geographic and economic inequalities on healthcare. While I intend to train further and work as a primary health care provider, I am currently engaged in epidemiological research of various disorders. I graduated with a graduate degree in public health and epidemiology from the Rollins School of Public Health at Emory University which is among the top ten public health programs in the US. This course helped me in developing the critical thinking, research skills and analytical skills I needed to pair clinical experience with specialist-level training in epidemiology, clinical research and preventive medicine. Being intelligent does not substitute for hard work and dedication; eight years out of high school and with many accomplishments and failures I have realized the true meaning of my school motto: 'There Is No Excellence Without Labor'. I enjoy diverse experiences, a deep conversation, and have an unbridled curiosity. I am pursuing digital photography passionately. My idea of enjoying a holiday would be relaxing on my deck, listening to smooth jazz, reading a novel, munching on some good food and gazing at the colors of the setting sun. I love my family and all things rational and positive.